Thank you for your interest in an Orlando Babe Ruth event. Please click on the event below that you are interested in joining. Orlando Babe Ruth will be holding a great season kick off event in February 2018. 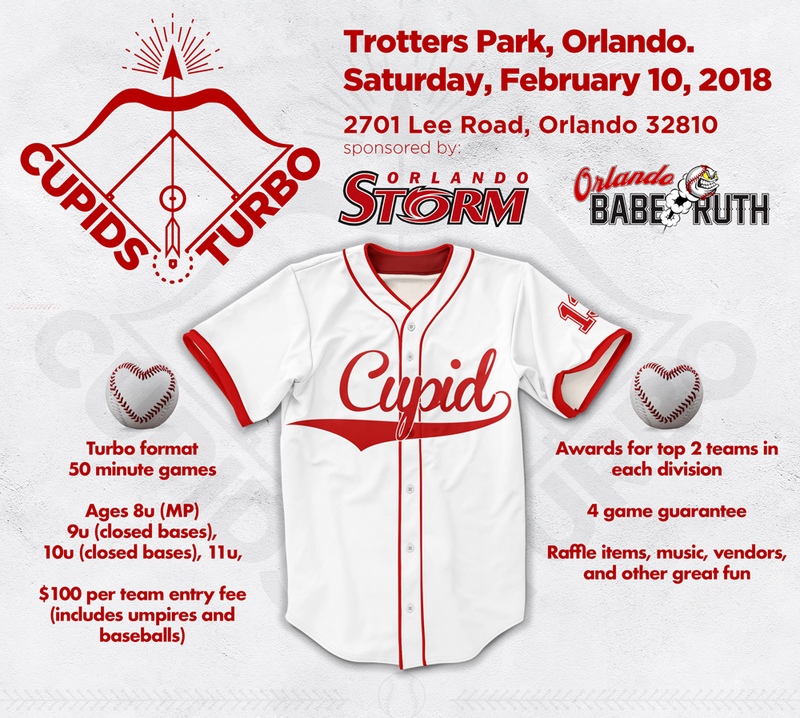 We will host the Cupid's Turbo on Saturday, Feb 10th. Entry fee is only $50 per team and includes game balls. Ages 8, 9, 10, and 11U. Baseball Turbo (50 minute games-Champions Round games are 60 minutes) Tournament hosted by Orlando Babe Ruth. Divisions include 8u, 9u, 10u, and 11u. $100 entry fee includes a minimum of 4 games, umpires and game balls. Limited space so register today! Cupid's Turbo: Saturday, Feb. 10th. Email OrlandoBabeRuth@gmail.com if you have any questions.